The latest album by Cairo-based DJ Sotusura has just been released, and it contains some amazing tracks and remixes that will keep you bopping for days. The album features a mixture of old school hiphop beats mixed with old Arabic samples taken from records that he has collected over the past 6 years. 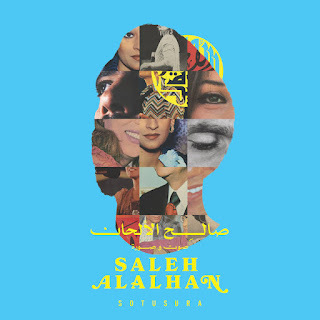 Titled Saleh Alalhan, this instrumental album includes 16 tracks that were fully produced by DJ Sotusura. It was released on March 9th 2019 on all platforms and is set to be released on vinyl in June 2019. DJ Sotusura has been collecting vinyl records since 2001 and has long focused on finding rare, previously released recordings/gems from the Middle East.